AUD/USD’s rebound from 0.7084 short term bottom is still in progress and intraday bias stays mildly on the upside. Further rise could be seen to 55 day EMA (now at 0.7313). But upside should be limited well below 0.7361 resistance to bring down trend resumption. 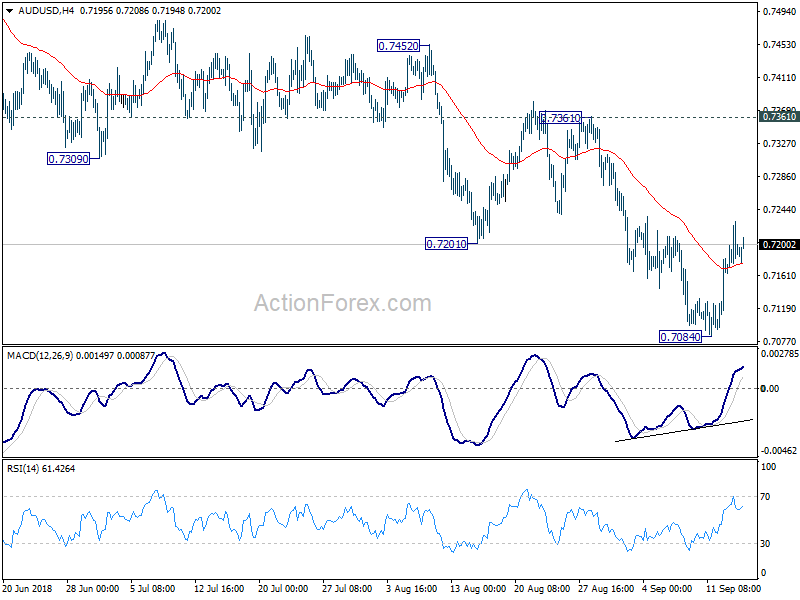 On the downside, break of 0.7084 will resume the fall from 0.8135 for key support level at 0.6826. However, sustained break of 0.7361 will carry larger bullish implication. In the bigger picture, rebound from 0.6826 (2016 low) is seen as a corrective move that should be completed at 0.8135. Fall from there would extend to have a test on 0.6826. 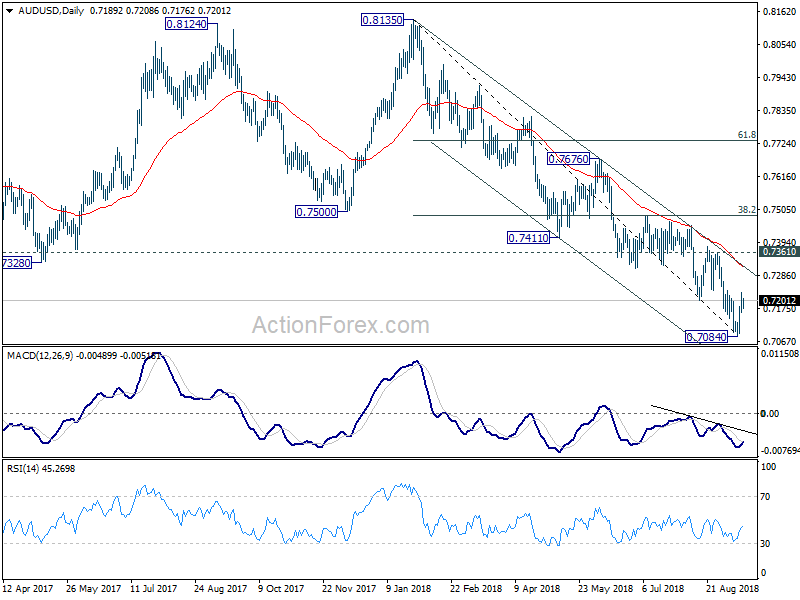 There is prospect of resuming long term down trend from 1.1079 (2011 high). Current downside momentum as seen in daily and weekly MACD support this bearish case. Firm break of 0.6826 will target 0.6008 key support next (2008 low). On the upside, break of 0.7361 resistance, however, argues that a medium term bottom is possibly in place, and stronger rebound could follow. We’ll assess the medium term outlook later if this happens.